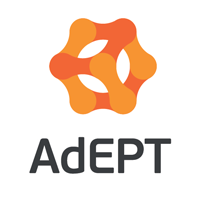 AdEPT Telecom Plc (LON:ADT), one of the UK’s leading independent providers of managed services for IT, unified communications, connectivity and voice solutions, today announced a trading update for the year ended 31 March 2018 (ahead of its final results which are expected to be announced in early July 2018). The Company is pleased to announce that it anticipates that underlying EBITDA will be slightly ahead of the market consensus expectation of a 23% rise year-on-year. Turnover is also expected to be above market consensus expectation of a 29% rise year-on-year. The deferred consideration period in relation to the acquisition of Our IT Department Limited ended on 31 January 2018 and we are pleased to announce that the results for the 12 month post-acquisition period exceeded the maximum consideration threshold. The deferred consideration for Our IT Department Limited of £3.65 million will be paid in early April 2018. Net senior debt of £18.05m as at 31 March 2018 was lower than market expectations which arises largely from the timing of the payment of deferred consideration in relation to Our IT Department Limited being made after year end, combined with the impact of EBITDA being ahead of market expectation. AdEPT continues to generate consistently strong free cash flow conversion from EBITDA with a capital asset light model. Cash flow generation in the year is after payment of (i) £12.14m aggregate initial consideration for the acquisition of Atomwide Limited, (ii) £3.46m deferred consideration for the acquisition of Comms Group (UK) Limited and (iii) a £0.38m increase in dividends paid in the year. AdEPT Telecom Plc announced an interim dividend of 4.25p per share in its September 2017 interim statement, which will be paid to shareholders on 7 April 2018. The Board today announces that as a result of strong free cash flow and trading results it recommends an increased final dividend of 4.50p (2016: 4.00p) per share which, subject to Shareholder approval at the Annual General Meeting later in the year, will be paid in October 2018. Total dividends proposed for the year ended 31 March 2018 of 8.75p per share represent a 13% increase year-on-year (2017: 7.75p). Click ADT for the full archive.